How do the Alu-Rex products protect against damage caused by snow and ice? Ice and snow put enormous weight on eavestroughs. Similarly, ice that falls from the roof can hit and damage rain gutters. Finally, freeze/thaw activity can end up twisting the eavestrough and cause spikes or hangers to become loose. The T-Rex system is a heavy-duty fastening system that reinforces eavestroughs and protects them against ice and snow. Since ice remains on top of the rain gutter, freeze/thaw activity can’t affect it. As ice and snow stay on top of the leaf guard, water can flow freely when there is a rise in temperature or when snow melts. 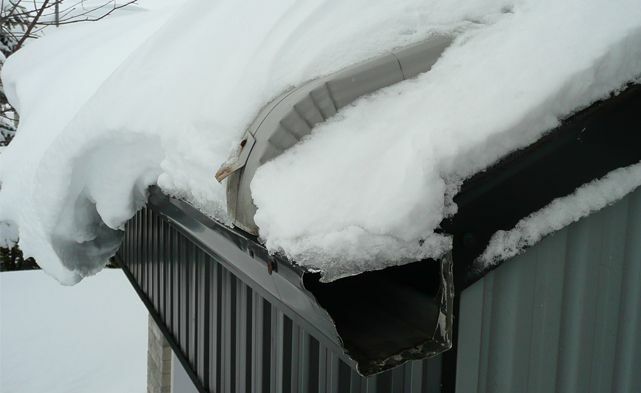 There is thus no overflow caused by snow accumulation inside the eavestrough. There is also no water infiltration in the foundations as water will not tend to flow directly down from the top of the rain gutter into the foundations. 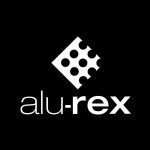 Furthermore, the roll-back edge exclusive to Alu-Rex products helps keep water inside the eavestrough, whether in periods of freeze/thaw activity or when there is heavy rain.